Penhallick House is a superb house with extensive gardens wrapped around, located near the quaint little village of Tintagel in Cornwall. Boasting five bedrooms, including a super king-size with a bathroom, a king-size, a double and two twins, this property can sleep a total of 10 people with a family bathroom and ground floor cloakroom. There is also a kitchen with a dining area, utility, a sitting room, a conservatory, study and play room. Outside is a patio with furniture and a barbecue along with ample off-road parking. 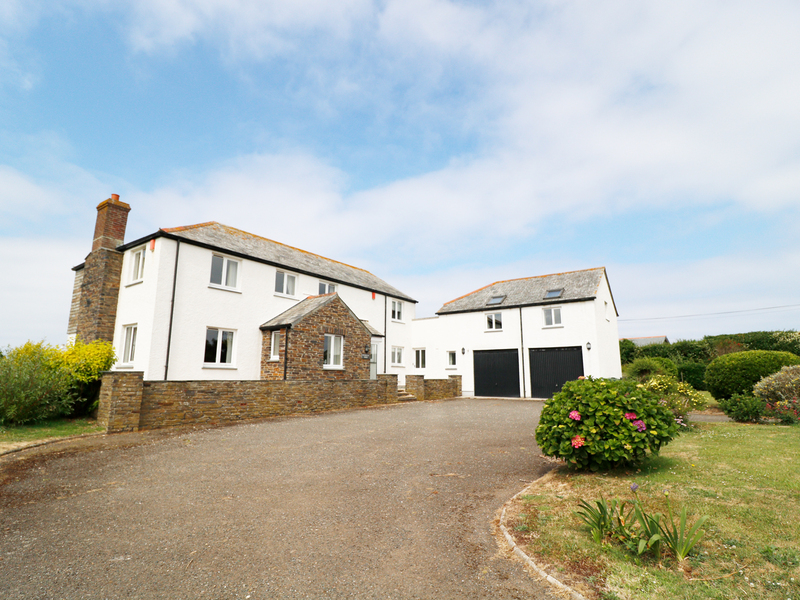 Penhallick House is a wonderful property in an ideal location for touring the Cornish region. Oil central heating. Electric oven, ceramic hob, fridge/freezer, freezer, microwave, washing machine, dishwasher, wine chiller, Smart TV/DVD, stereo, WiFi. Fuel and power inc. in rent. Bed linen and towels inc. in rent. Cot available. Ample off-road parking. Lawned gardens, patio with furniture and a barbecue. Two well-behaved dogs welcome. Sorry, no smoking. Shop and pub 1 mile. Trebarwith Strand beach is 15 minute walk and 5 minute drive.